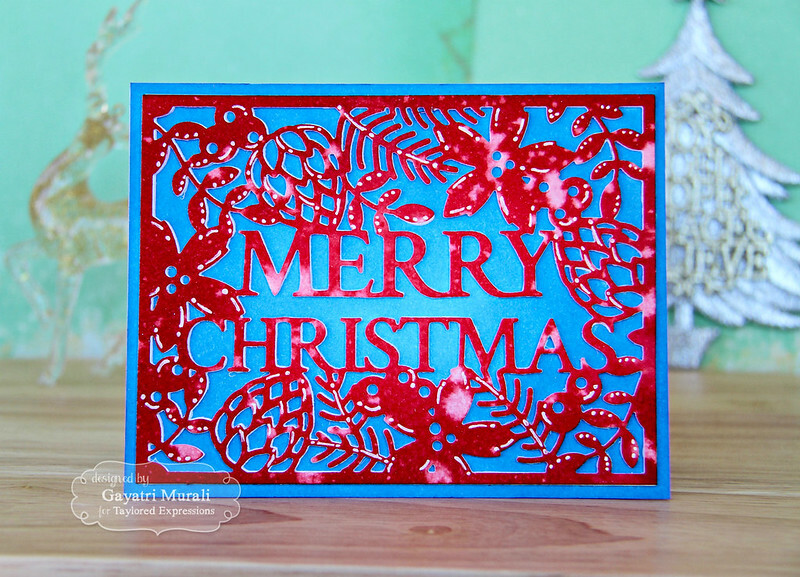 Hello friends, I have been dying to play with this gorgeous detailed cutting plate from Taylored Expressions called Merry Christmas. This cuttle plate is perfect to mass produce your Christmas cards this year. 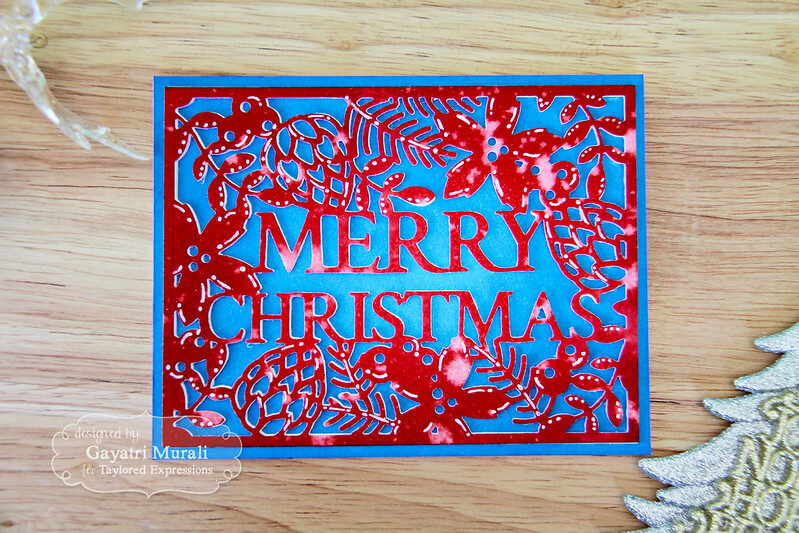 Here is my card using this Merry Christmas Cutting Plate. I have kept it simple. I sponged distress inks Candied Apple, Festive Berries and Aged Mahogany on watercolour panel. Then spattered some clear water to add texture. Once dry, I die cut using the Merry Christmas cutting plate. Before die cutting I added Stick It adhesives on the back of the panel. I also add stick it on the back of two more white panels. So I die cut two more using the white panel. Then I stacked and glued them with the red die cut on top of the stack. I wanted this to pop out of the card. So I sponged the card front with Salty Ocean distress inks. I did sponged a load of the colour. I then adhered the dimensional die cut on the card front. WOW! LOVE how the red pop against the blue background. I LOVE contrast and this is awesome. I added some highlight details using white gel pen. Thats it! //embedr.flickr.com/assets/client-code.js Hope you like it. I have listed all the products I used to make my card below.